Riding Mowers, Push Mowers, Leaf Blowers, Snow Blowers, Weed Wackers, Snow Plows, Water Tanks, & More! 3515 Silica Road, Sylvania, Ohio 43560 Please bring a copy of invoice & a State ID to Pick-Up items. Pamela Rose Auction Co. LLC Does NOT provide any labor or tools, please bring proper help if picking up larger items. ANY ITEMS NOT REMOVED ON THE REMOVAL DATE SHALL BE DEEMED ABANDONED AND ITEMS SHALL BE FORFEITED WITH NO FURTHER OBLIGATION TO BUYER WITH RESPECT TO SUCH ITEMS! If the winning bidders do not pick up their items during these removal times and they request special arrangements, they will incur Moving, Labor & Storage fees. 13% Buyers Premium added to the final hammer price. This covers the premium charge by Proxibid. All shipping is the bidder's responsibility Pamela Rose Auction Co., LLC DOES NOT provide packing or shipping. ALL LABOR IS THE RESPONSIBILITY OF THE BUYER! ALL SHIPPING IS AT THE EXPENSE OF THE BUYER! For online bidders we accept Visa, Master Card, Discover, and American Express Credit Cards ONLY. All Sales are Final and invoices will be sent immediately at the conclusion of the auction. Pamela Rose Auction Co. LLC will not collect a sales tax on items selling in this auction. All accounts will be settled and your credit card on file will be charged in full IMMEDIATELY at the close of the auction. If your card is declined and you fail to provide valid payment, we will report you to Proxibid for non-payment and you will be black-flagged and automatically declined from participating in our future auctions, and possibly all Proxibid auctions. All items will be sold "As Is". Buyers shall rely entirely on their own information, judgment, and inspection of property and record. Pamela Rose Auction Co. LLC will not be responsible for any errors or omissions in the description of the merchandise unless it is a material and intentional misrepresentation of the item itself. Bidder agrees that everything is sold as is and that they may not return any item they purchase. Any other terms or conditions will be announced the day of the auction and will take precedence over printed matter. Pamela Rose Auction Company, LLC assumes no risk, liability, or responsibility beyond the limited warranty contained herein. Pamela Rose Auction Company, LLC reserves the right to reject any bid. The highest bidder acknowledged by the auctioneer will be the purchaser. It is the Bidder's responsibility to determine condition, age, genuineness, value or any other determinative factor. Pamela Rose Auction Co. LLC may attempt to describe the merchandise in advertising, on the Internet and at the auction but makes no representations. In NO event shall Pamela Rose Auction Co. LLC be held responsible for having made or implied any warranty of merchantability or fitness for a particular purpose. Bidder shall be the sole judge of value. All Bidders must by 18 years of age or older. All successful high bidders are responsible for their own labor. Inventory List is subject to change. ALL SALES ARE FINAL, There are no refunds, adjustments, or returns. All labor is the responsibility of the bidder, Pamela Rose Auction Co. LLC does NOT provide labor, equipment, or tools. As a condition to registration and bidding, you as the bidder (i) Agree that they will not, under any circumstances, initiate a chargeback, and (ii) Agree that they are waiving any chargeback rights that my exist under the agreement between bidder and bidder's credit card company. Should a chargeback be initiated, the auction terms and condition will be conclusive evidence of the bidder's waiver of any chargebacks. 3515 Silica Road, Sylvania, Ohio 43560 Please bring a copy of invoice & a State ID to Pick-Up items. If Pamela Rose Auction Co. LLC is unable to make available or deliver any winning items, or a portion thereof, the sole liability of Pamela Rose Auction Co. LLC, if any, shall return the monies paid in respect of such winning items upon its return by the purchaser. When bidding from a mobile or tablet device, it is recommended to use "Desktop Site View" of Proxibid. Pamela Rose Auction Co. LLC is not responsible for errors made by the mobile bidding platform. 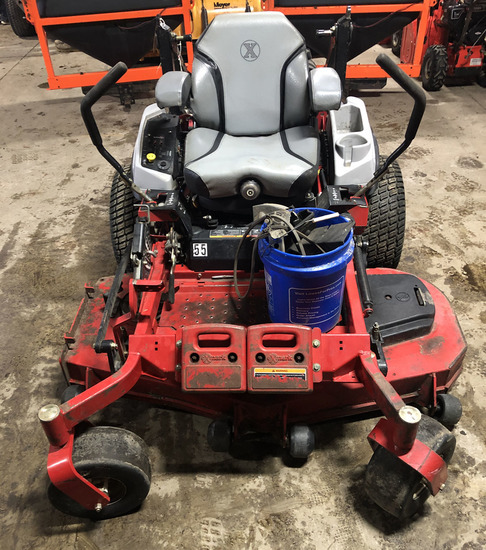 Staggered Close: If you'll notice in the Title of our Auction, it states that bidding BEGINS to close at the stated EDT or EST time (Ohio Time); however, ALL items do not close together at that time. Items will close in the order listed on the site, (unless affected by the Soft Close as explained below) and typically close at the rate of 6 items per minute (every 10 seconds). Our Auction was set up this way intentionally so that bidders can have time to evaluate their overall progress in a sale as individual items close. You may also click on "Live Catalog" to view, in real time format, the lots that have current activity. Extended Bidding Time: If an item receives a bid within the last 2 minutes, then the close time will be extended 2 minutes from the time the bid is placed. The time will continue to be extended for 2 minutes with each newly placed bid and the item will not close until 2 minutes have elapsed with no additional bid activity. Shipping Instructions: All shipping, packing, & transportation is the bidder's responsibility! Please bring a copy of invoice & a State ID to Pick-Up items. Pamela Rose Auction Co. LLC Does NOT provide any labor or tools, please bring proper help if picking up larger items. ANY ITEMS NOT REMOVED ON THE REMOVAL DATE SHALL BE DEEMED ABANDONED AND ITEMS SHALL BE FORFEITED WITH NO FURTHER OBLIGATION TO BUYER WITH RESPECT TO SUCH ITEMS! If the winning bidders do not pick up their items during these removal times and they request special arrangements, they will incur Moving, Labor & Storage fees. BUYERS PREMIUM: 13% Buyers Premium added to the final hammer price. This covers the premium charge by Proxibid. You've been outbid to v****a! to YOU! You've been outbid to k****4! to YOU! You've been outbid to c****5! to YOU!